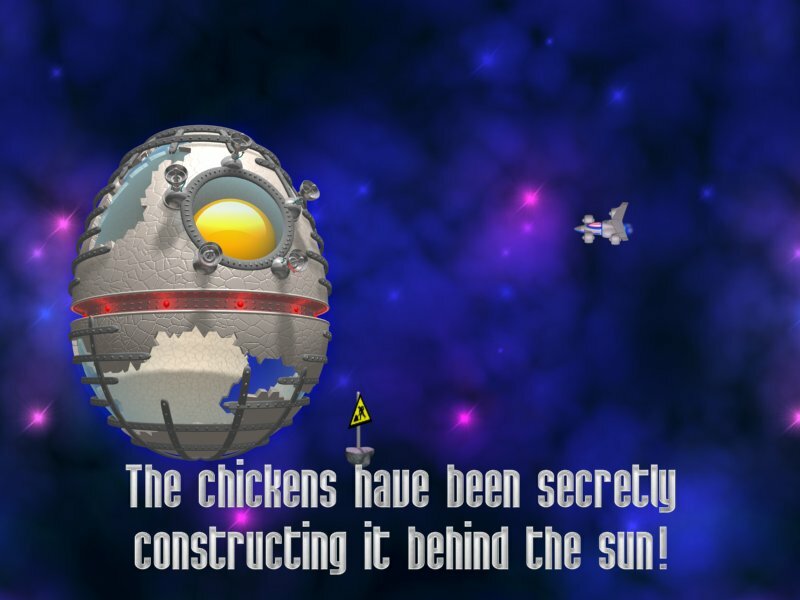 Space Chickens are attacking! Blast the yolk out of 'em! Chickens. From space. Attacking the earth. And you get to blow them up as you travel across the galaxy in a race against time to save the earth from the egg-shaped battle station! Interested in a serious, hard-core space combat simulator? Well, this isn't it. 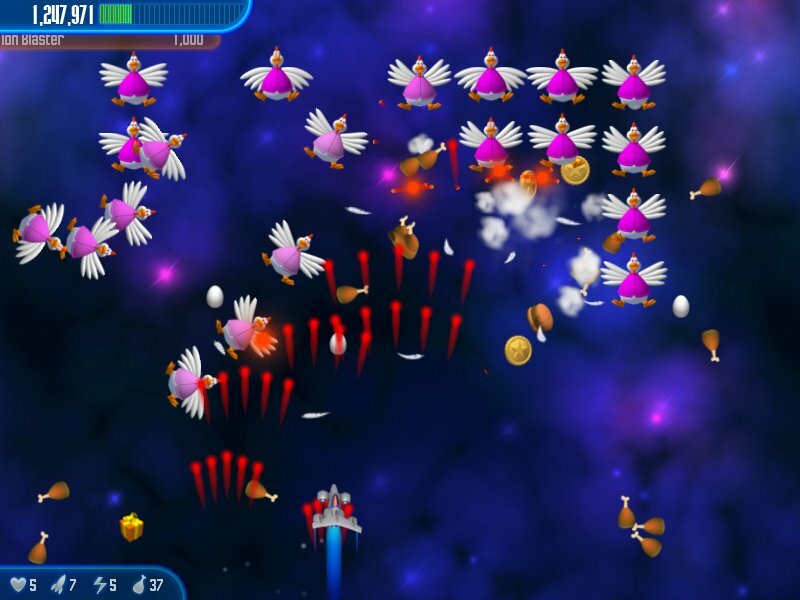 Chicken Invaders 3 is a silly, top-down combat shooter of zany proportions. Battle wave after wave of the vile space chickens, upgrading weaponry and collecting roast chicken drumsticks and chicken-burgers as you go. 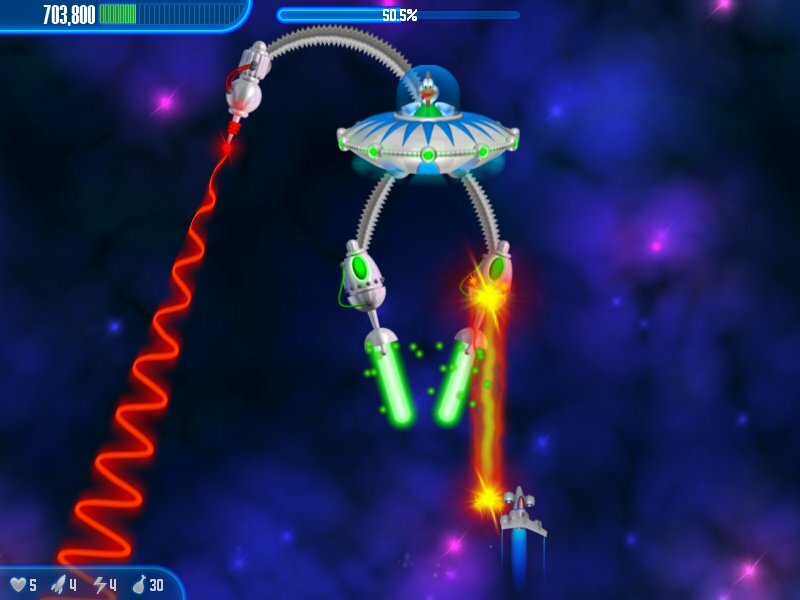 Enjoy bonus rounds, boss battles, waves of nasty space chickens and their allies as you battle for your right to omelets! And avoid being served up as the main dish for the chickens! Download the free Chicken Invaders 3: Revenge of the Yolk today. It will have you cracking up... which is a good thing, unless you are an egg.